For the first time in a long time! 12 - 10K race in 38:51, felt great. 15 - Right upper hamstring and/or glute got sore after a 1k warmup and an aver pace 600. 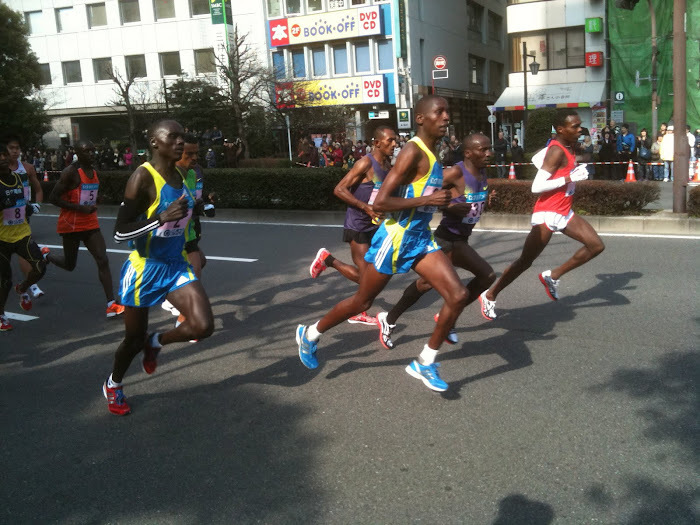 26 - Namban 10K fun run - ran 50:00 with sore HS, but it didn't get worse. 29 - It got a lot worse. 22 - Easy run in Bangkok, but HS sore, and quads very sore. 31 - Left calf very sore!! 14 - 7.2k with several walk breaks - calf ok! 18 - 8k - 2k x 4 @5:30/k with walk breaks. Calf ok, HS ok. So I am cautiously optimistic. Will try to _gradually_ amp it up and maybe actually become a runner again. Hope we all have a good 2015. Good to see you back Bob. Yes, a 2015 with no injury interruptions! Take it easy. Good luck.